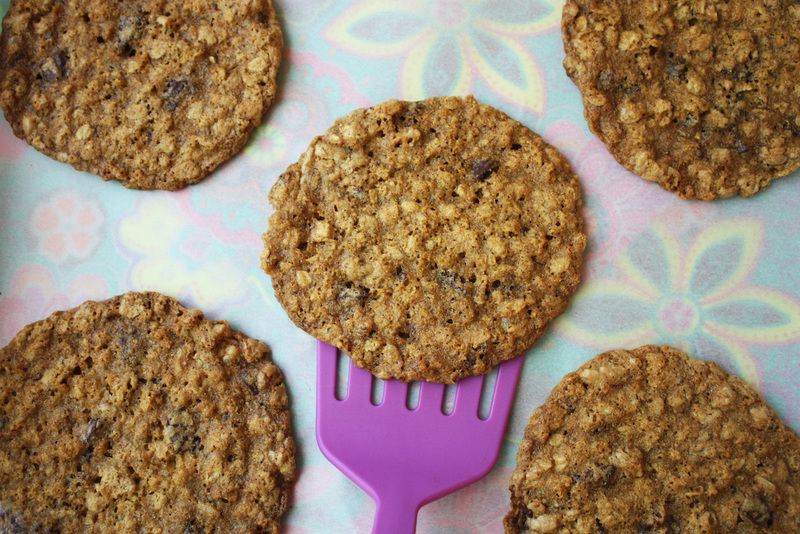 It seems that I’ve been making these crispy oatmeal chocolate chip cookies a lot lately. They keep well, there’s no white flour, they have lots of fiber, and instead of chocolate chips I’ve been using part of a 70% dark chocolate bar (the one that’s good for you), chopped up and added to the final batter. Of course the toasted nuts add a lot of extra flavor.